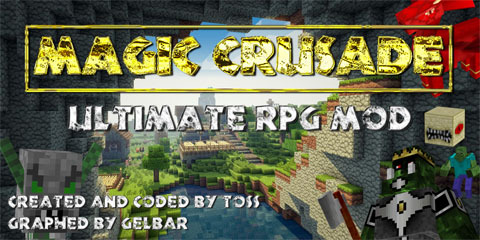 Magic Crusade RPG Mods was made to create a kind of RPG gameplay in Minecraft; adding NPC, dungeon, classes (rogue, hunter, mage? ), spells, mana / vigor / fury, and a loads more. Then launch it, click on “Update Magic Crusade” and wait for the installation. When the download is finished, launch your official Minecraft Launcher. Create a new profil, and select “1.7.2_Magic_Crusade” version.